Available in 4 distinctive colors, our 600 ml is tough, functional and fashionable. Keep it on your desk or take it along with you in the car, to a yoga class, to school, shopping or for a stroll along the beach… wherever you go, it goes! 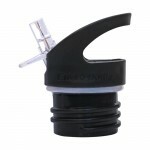 *It is best to wash any of our flip-n-sip caps by hand. 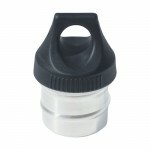 The materials are dishwasher safe, though it is possible to lose some of the seals or valves in the washing process.